Dawson spearheaded efforts which resulted in increased local exposure in the North Carolina legislature. 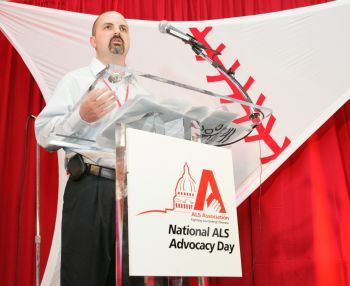 He also worked to build personal relationships with lawmakers resulting in Representative David Price sending a letter to U.S. Secretary of Defense, Robert Gates, requesting that the Department of Defense allocate funds to support ALS research initiatives. Studies have shown conclusively that members of the military are twice as likely to develop ALS. The Rasmussen Advocate of the Year Award is the latest in a string of awards that the Jim “Catfish” Hunter Chapter has received recently. In January, the Chapter was named Chapter of the Year and also received the Iron Horse Award for exceptional revenue growth while keeping fundraising and administrative expenses low. In December, the Chapter's walks were recognized, taking the top fundraising award for their market group.